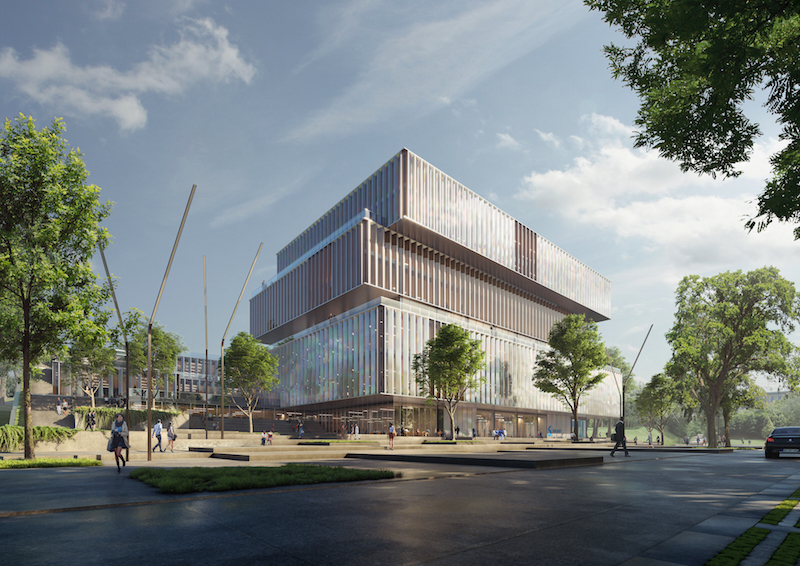 Solvay, an advanced materials and chemical company, selected Danish architectural firm Schmidt Hammer Lassen Architects to design its new headquarters in Brussels. 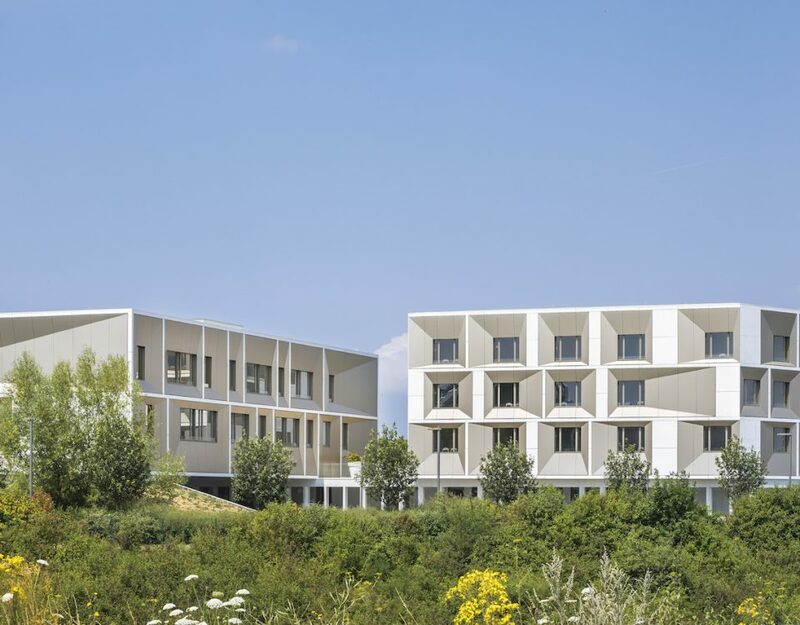 The winning team, also comprised of local firm Modulo Architects and VK Engineers, was chosen after an international competition that included European firms OMA, Valode & Pistre, Wilmotte & Associés, and Henning Larsen. 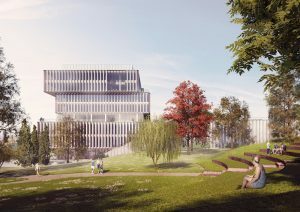 The new campus signals a shift for Solvay towards a more open, sustainable culture amidst a recent radical transformation of its business portfolio. 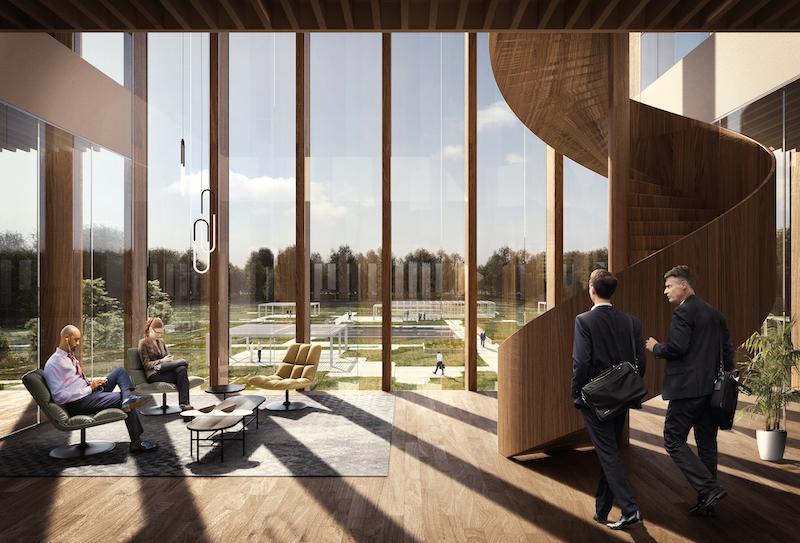 The new building, located on the 22-hectare site that has housed many of Solvay’s activities since 1953, will not be a typical corporate office, but rather a fluid, collaborative space where teams and partners can co-create and interact. One company. One campus. One building. Sustainability and resiliency are two key drivers in the design of the new Solvay headquarters. 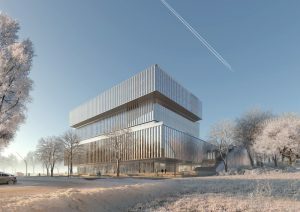 The company’s dedication to its green ambitions are evident throughout the design of the zero carbon footprint, near zero energy building and green campus. 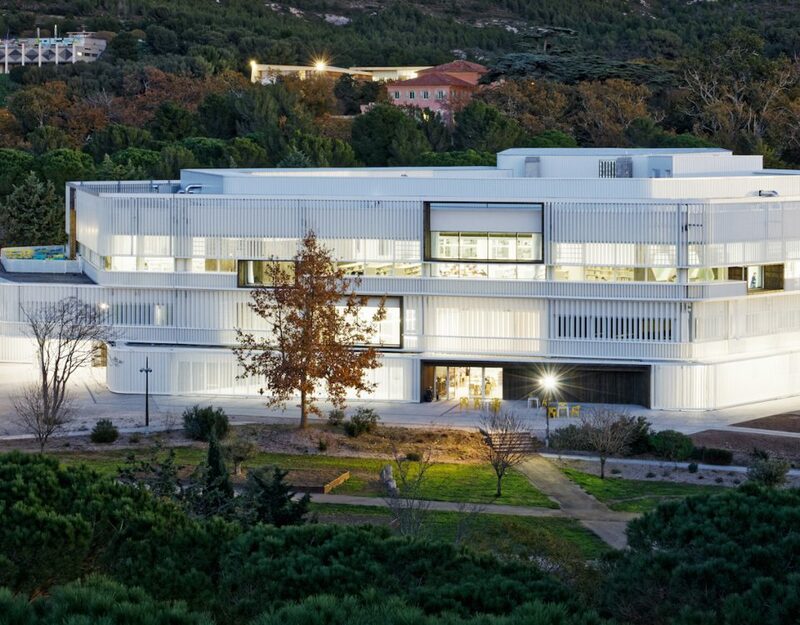 Upon arriving on the new campus, employees and visitors will feel the spirit of the place. The Esplanade is the “urban carpet” that welcomes people to the premises and has a more formal, urban character than its surroundings, featuring planters with benches, solitary trees, and small reflective pools. The new large green roof, designed as a geometric garden, offers unobstructed views of the surroundings. It also features skylights and large sunken gardens that provide the workshop areas beneath with access to the outdoors. 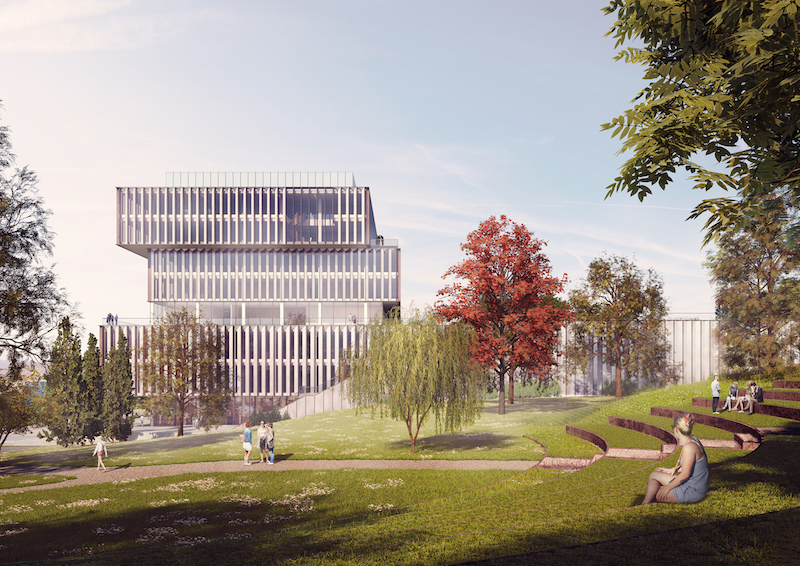 The existing park on the west side of the entrance will become a dedicated forest, and will reintroduce the 18th century old water stream linked to the Senne. Rainwater across the campus will be harvested and reused as much as possible, and the stream will amplify the natural rainwater ponds to boost biodiversity while creating microclimates. 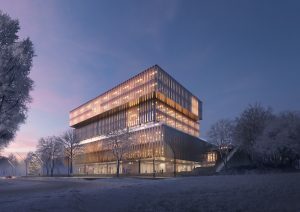 An open-air amphitheatre in the Yard on the north side of the campus will connect the headquarters with the new restaurant. Careful attention has been given to the existing trees when shaping this space in order to take advantage of the sloping landscape and the historic value of the existing species. The green spaces and the large plaza will guide staff and visitors to the glazed, open and inviting main entrance lobby, flanked by the café and the Solvay Experience Centre. 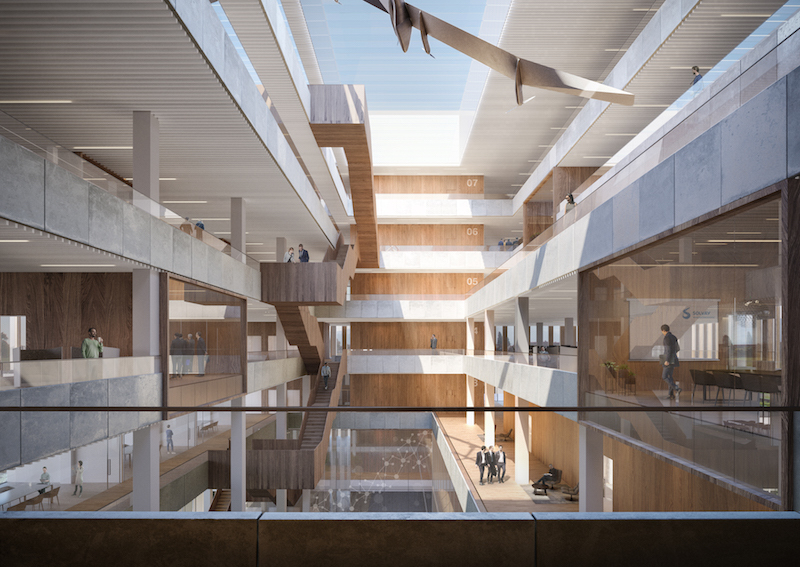 Inside the building, an impressive atrium, bathed in natural light, will offer social and visual connectivity between floors and departments. The first two floors house the laboratories and workshops, while the offices occupy the upper four floors. 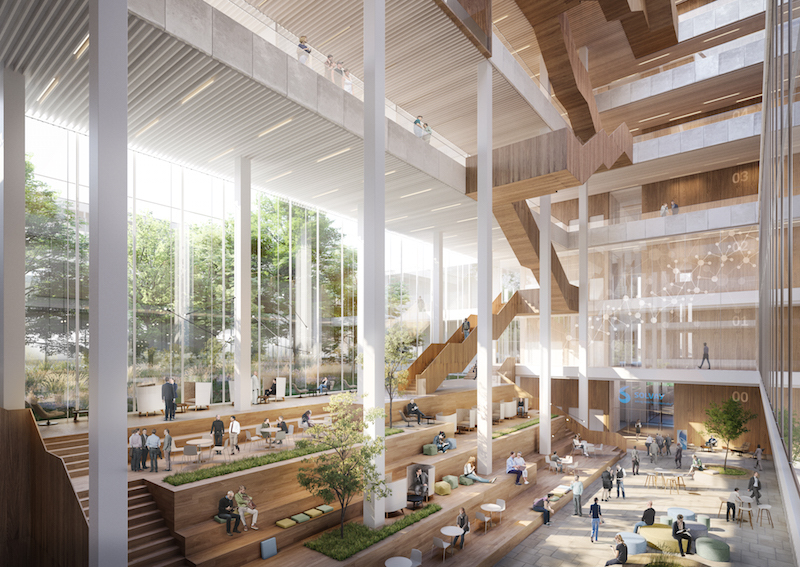 In between these, the Meeting Centre allows employees to gather, relax and communicate, while taking in the campus’s green views through large 360° terraces. 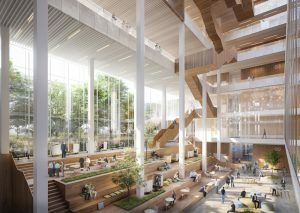 Informal workspaces, such as the large social staircase that lines the atrium and the peaceful green patio that serves as a backdrop, will welcome new ways of working, communicating and collaborating. Solvay has ambitious sustainable development objectives, and is committed to minimizing its industrial waste and the impact of its manufacturing processes on air, water and soil quality. 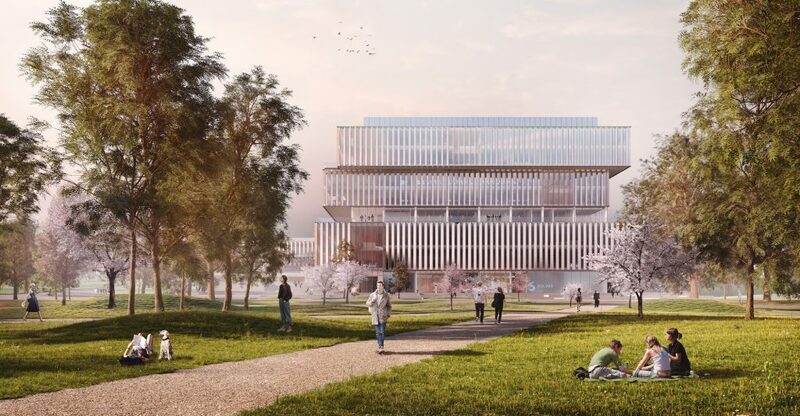 Schmidt Hammer Lassen’s winning design, which is expected to be certified BREEAM Excellent, will be carbon neutral, using geothermal energy, solar cells and natural ventilation, all set on a rolling green campus. 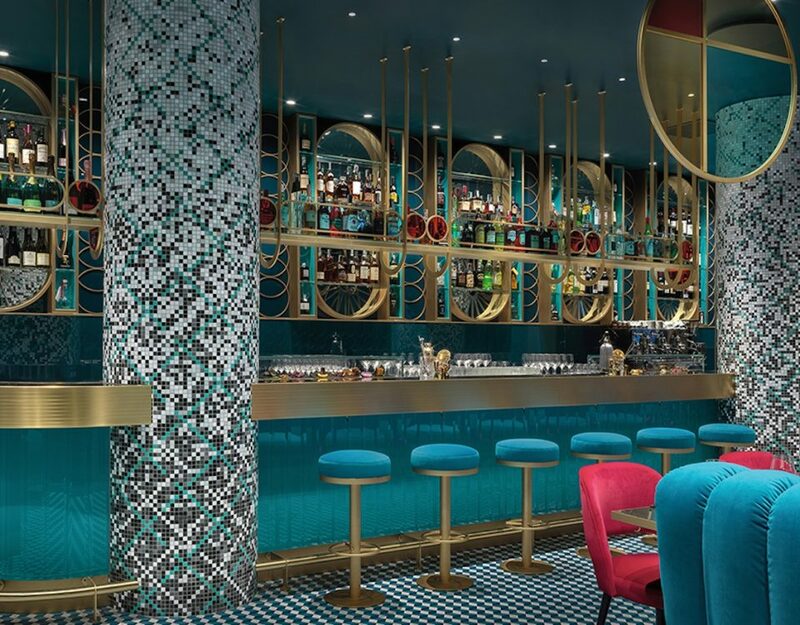 “Over the past six years, Solvay has gone through one of the most profound business transformations in its 155-year history. 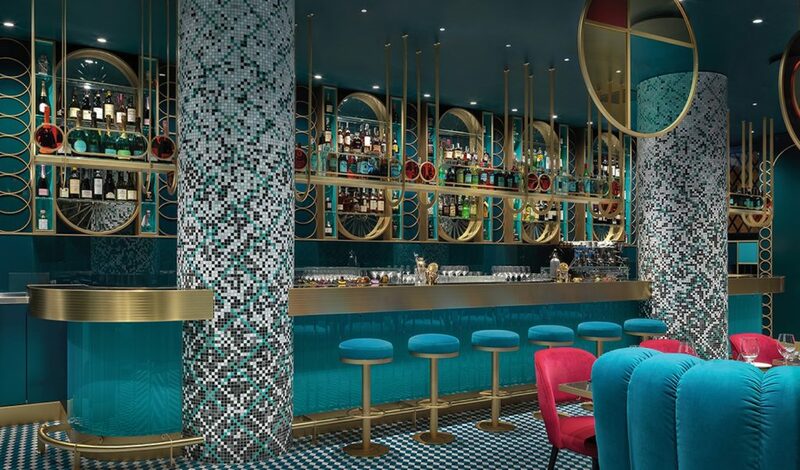 This project embodies the start of a new era for the group’s long-term growth, fostering closer connections and creativity between colleagues, customers and the business,” said Jean-Pierre Clamadieu, CEO of Solvay. Schmidt Hammer Lassen Architects, now part of global architecture and design firm Perkins+Will, is one of Scandinavia’s most recognized and award-winning architectural practices. The company was founded in Aarhus, Denmark in 1986 by Morten Schmidt, Bjarne Hammer, and John F. Lassen, and is led today by all three founding partners along with partners Kim Holst Jensen, Kristian Lars Ahlmark, Chris Hardie, Rong Lu, Bente Damgaard, Mads Kaltoft, Trine Berthold, Kasper Frandsen, Nathan Smith, Tiago Pereira and Rasmus Kierkegaard. 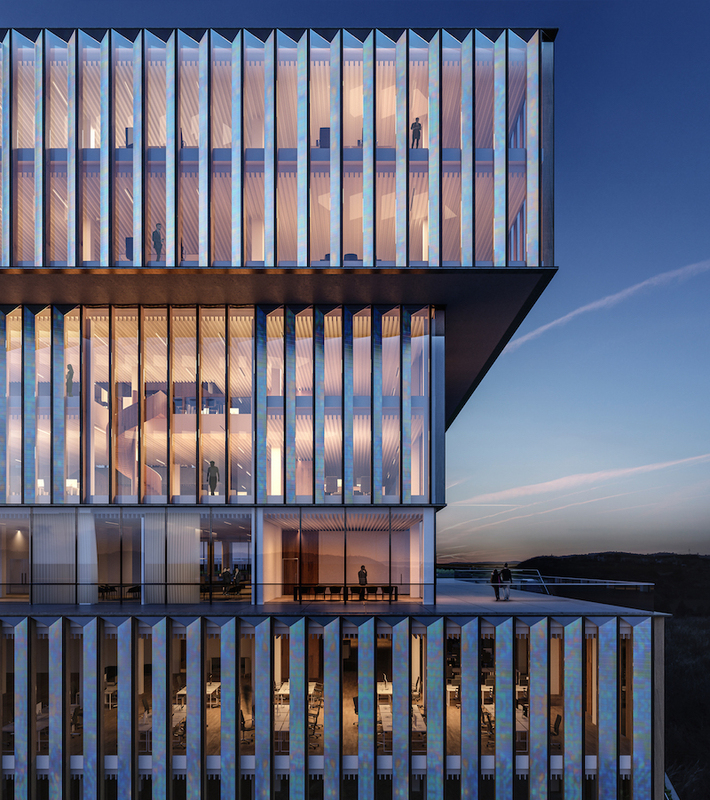 Working out of studios located in Copenhagen, Aarhus, and Shanghai, the firm provides skilled architectural services all over the world, with a distinguished track record as designers of international, high-profile architecture. 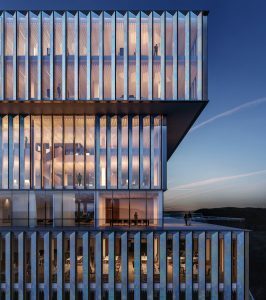 Cultural and educational buildings, offices, commercial, retail, and residential buildings, often in mixed-use developments and complex urban contexts, are cornerstones of the firm’s output. 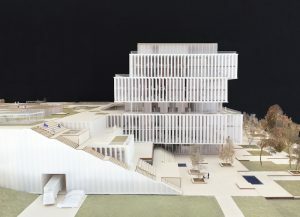 The practice has extensive global experience in the design of libraries and other public and cultural landmark buildings, and its innovative, sustainable, and democratic approach to architecture has attracted global attention, winning more than 100 national and international awards. For more information, visit www.shl.dk.